A not so simple question. One that does not fit every writer. Some writers get up and can’t wait to hit the computer keys. Their minds overflowing with thoughts or dreams from the night. Some don’t wait for the computer, but find themselves scribbling down bits and pieces from a pad beside the bed. Others carry a notebook or use the napkin at the restaurant. Compulsive? Nope. These are writers who know writing is in their heart, head, and are helpless to do anything but write. Others, write, but only when the mood strikes them. A television show pulls them away from writing. They want to write, but become bored with the same characters day after day. If they decided to write something different, they feel guilty leaving their characters hanging in a scene. Or, they have so many stories started and cannot finish one. Still they want to write, more out of habit than from their heart. How can we get back to the conscious desire to connect to our writing? I asked some of my writer friends to help me out with this blog. No, I will not use names, as a matter of privacy, but I did get some great suggestions. 1. When was the last time you really enjoyed writing? Take yourself on a backward journey. 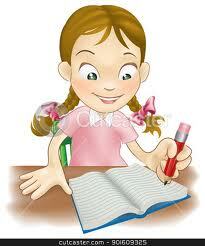 Do you remember what you were writing: poetry, short story, novel, or an article? Were you writing with a pen, pencil, on notebook paper, in a small journal, or on the computer? Can you picture yourself and feel the joy? Then go back to whatever method of writing you were doing and start this same practice today. Not tomorrow. Today, when this is fresh on your mind. 2. Stop trying to write. Yes, we are told if you are a writer, you must write every day. Do not believe everything you hear. What will happen if you miss a day or a few days? Nothing. Your characters stay the same until you change them. The setting won’t blow off the paper and the hero/heroine will still get their chance at love. In fact, you might have some new ideas. 3. Take yourself to a quiet spot. Leaves the kids at home, do NOT bring your cell; well, okay bring it for emergency uses but leave it off. Take a long walk and notice the different trees, flowers, paths and other walkers. Be observant of everything you see, hear, and feel. No, don’t write them down, keep them in your memory. Plant these images or feelings deep, and they will be there when you need them later. 4. Be gentle and remind yourself this is your ‘catch-up’ period. You can push yourself only to a point, and then the well runs dry. Take some deep breaths and relax. You need to revitalize your writing experiences. Your ideas will begin to flow again and the frustration or boredom will disappear. You will be energized to keep ‘going and going and going’. See which of these fits you and your writing. Maybe all. Maybe none. But somewhere in your writing, you will come up against the dry spell. Hey, not to worry. Relax. Smile. Walk. Energize thoughts, and you will not be able to find a pen, paper, notebook, or computer fast enough. P.S.I’d love to hear your ideas, too. As writers, we hear this phrase all the time. We read in magazines the need to put the pen to the paper, fingers to the keyboard, and let the creativity flow. Some days are not creative days, but do you write? I do. I write grocery lists, to do lists, which become more frequent as I get older. I check the calendar for any special information and jot this down on another list. Now, my lists have lists and I feel ready to hit the road. Later, I remember I did not add to my story and my manuscript needs attention. Does any of this sound familiar? Sure. Now what? I learned to force myself to sit at my desk and pound away at the keys. Kinda like scribbling with a crayon. Some days these squiggle words cover page after page. About the time I want to give up, a fresh wave of creativity rushes in and the doodling turns into fresh material for my work-in-progress. This flow of words keeps me writing and writing until I feel worn out and empty. Then, I know my writing time is up. As I read what is on the computer screen, I am surprised at the way the story is taking another twist. I didn’t plan this, but I won’t argue with the flow of creativity. To be honest, some days I write early, real early, in the mornings, after the coffee pot burps into my empty cup. During these sessions, my mind races back to thoughts I had during the night. Thought that would not have appeared later on in the day. I get them captured right away. I also write in the late afternoon. I’ve gotten out of the house, sat in traffic, listened to conversations, watched people, and somehow, new ideas are born. This is where my trusty three-ring notebook comes into play. I jot down bits and pieces of what I see or hear. It is my way to jolt my senses into their right places: feel, hear, taste, touch, and see. Stuck, I go for a walk. Also the fitness classes I teach, help shake things around and I get another breath of energy. Make your daily writing a positive affair with words. Bring new life into your manuscript and have fun. Yes, writing is work, but when work becomes a game with words, scenes, and characters you are creating. Go for it.